As with the other Canadians, this is a mix of Artizan Designs, Crusader Miniatures, West Wind Productions, and First Corps. These fellows are from Copplestone Castings. They are not the ones that recently arrived. I picked these up earlier in the summer. I now have another four making their way in the painting queue. What on earth am I going to do with all those officers!? Oh, I know! Make more units of Turks!! One more lot of Canadians and all the foot are done (for now). 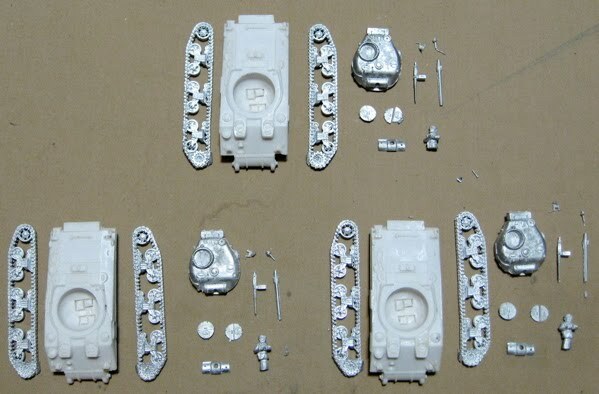 Then I just have to finish the three Shermans and a Universal Carrier. After that…? I’ll probably launch into the T-34s and Soviet mortars and casualties as they will actually be useful in the very near future as well as they have upset the “all finished” status of my 28mm WW2 Soviets. 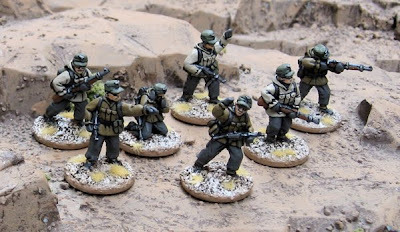 There’s also the dozen of so modern British that are now upsetting the “all finished” status of my 28mm Modern Military types…. These two chaps are both from Copplestone Castings. I did also get started on the next lot of Canadians. Hopefully get most of those done this evening. Another batch rolling off the painting desk… Would have been done a day earlier but I had to host another board meeting – curse my volunteerism and community mindedness! This lot is a mix of Artizan Designs, Bolt Action Miniatures, Crusader Miniatures, and West Wind Productions. Two more lots to go and I’m done all the Canadian Infantry. 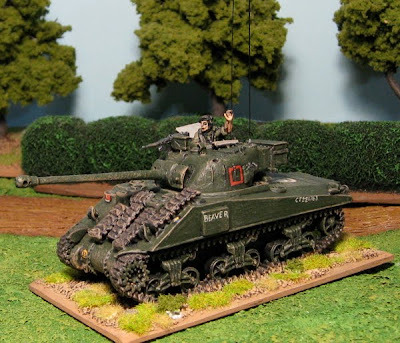 Then I’ll have the three Shermans and a Universal Carrier and the Canadians are complete – or as complete as they’re going to be for some time. More Canadians. Not sure what I’ll do after that… Commandos or Paras or back to Germans of one variety or another. Maybe I should finish up some more of the Germans in Greatcoats – since our East Front campaign is rapidly drawing nearer to the first snowfall of 1941 (7 October 1941). 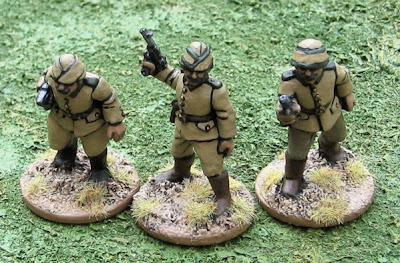 Or maybe I’ll get distracted by that first order placed AFTER the moratorium (it was an isolated event and a sweet deal I couldn’t pass up… I wasn’t looking on ebay or anything - a friend contacted me about having a bit of an online “Wargamer’s Garage Sale”… um…. yeah….). I’ve divided the remaining Candian infantry into four batches of about ten or so figures. I finished up the first of such batches last night. 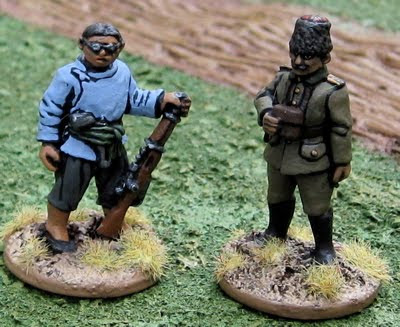 The rest of these are a mix of Bolt Action Miniatures, Artizan Designs, and others. 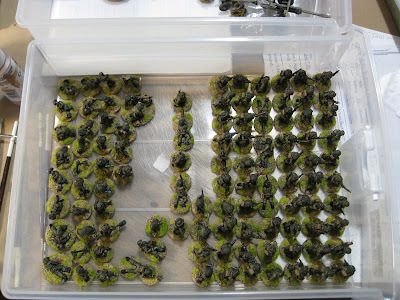 Something Canadian… Infantry… Shermans… I was briefly tempted to set the Canadians aside and work on Germans – which would be a bit more useful at the moment… but the feeling has passed and I’m pretty much committed to finishing off these Canucks before I move on to the next lot. 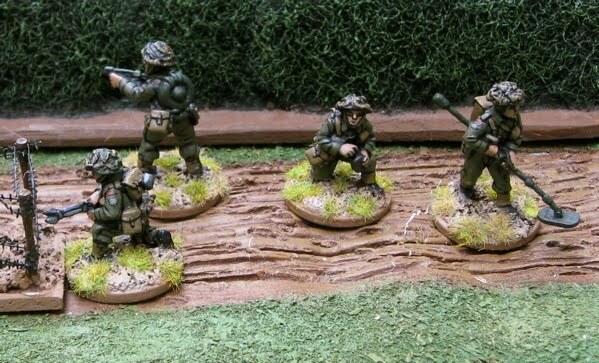 These fellows are from Brigade Games “Ends of the Earth” line. Painting night with the Tims. Mr. Miller and I have started having painting nights again. 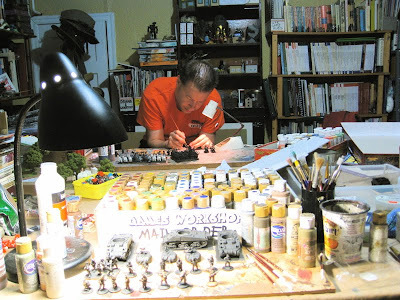 They’re not set to any particular day of the week – just whenever he has a night off that corresponds with a night that I am painting (which is pretty much EVERY night – that I’m not playing a game…). We used to do this regularly but after nearly a years hiatus we are back at it! I’d originally tried to take pictures of these on a plain white background - to make them look like they were on a glacier somewhere - either in the Alps or the Caucasus or the Antarctic... I took pictures indoors and outdoors, but it just didn’t seem to work out. I’m thinking it was too high contrast. The white was just to bright and caused the shutter speed to be higher than was necessary for good colour….? Anyway, I thought I’d include those, too, anyway. Outdoor/natural light (on a cloudy day). Set on styrofoam packing material. I'm starting to wonder if I’ve bit off more than I can chew trying to paint all three at the same time!? From this point I may very well end up finishing off one at a time (in very rapid succession!). We’ll see. I think I’ll finish off the rest of the Gebirgsjäger first, then jump back into these with both feet! All blacked up and ready for painting… and attached to bases. I wonder if I should affix the turrets to a base of their own – just for something to hold onto while painting…? 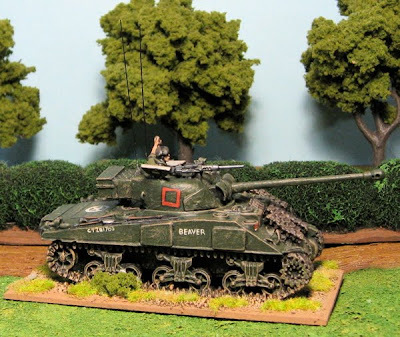 I thought I’d do another step-by-step build of the Sherman troops I have (like I did with the Humber…. Here’s all the bits ready to go. The models are from West Wind Productions. 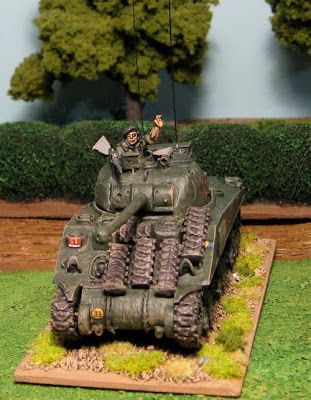 I picked them up earlier this summer when they were having a crazy 40% off sale… with the pound in the tank it was the quickest cheapest way to put together a Sherman troop to support the Canadian infantry I’ve been doing in 28mm. After giving the resin bodies a good scrub it was time to do a bit of cleaning up. Most of them had a bit of goop to clear up at the back end of under hull – an area that will never be seen, but it had to be cleared out as it got in the way of attaching the tracks. 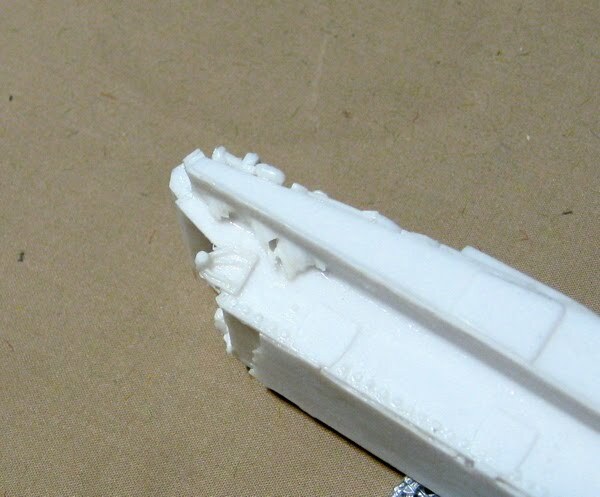 Other than that there were not bubbles or other flaws in the resin body, There was a bit of a seam around the turrets that needed to be carved/filed off… as well as some of the other metal bits. The one in the middle I’ve already started applying the black gesso to the undercarriage – which I will do on all of them before fixing them to their bases. I would have liked to load these up with stowage… but I have a LOT of stuff to paint and not heaps of time, so I just can’t be bothered at this point to mess around with that sort of thing. At some point, when I have less stuff to do and/or a surplus of time to work on such projects and/or a greater desire to individualize models… I can add some then! These, as with the Sherman Firefly will be part of B Squadron, 1st Canadian Hussars (6th Armoured Regiment). The Hussars were part of the 2nd Canadian Armoured Brigade (Independent), which supported the Third Canadian Infantry Division in Normandy. 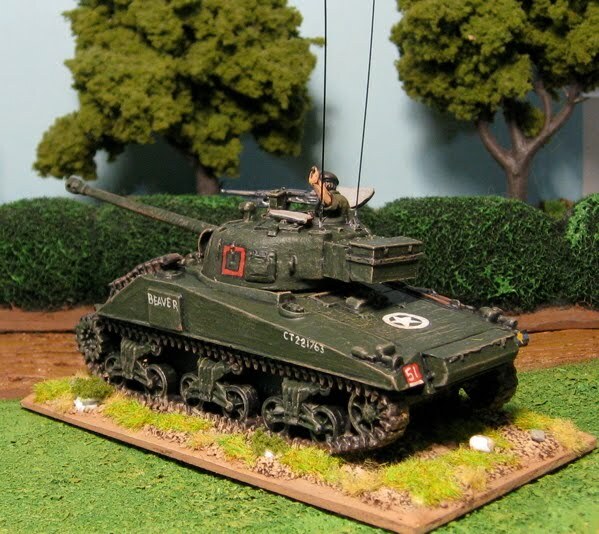 B Squadron of the Hussars was in direct support of the Regina Rifles on D-Day. 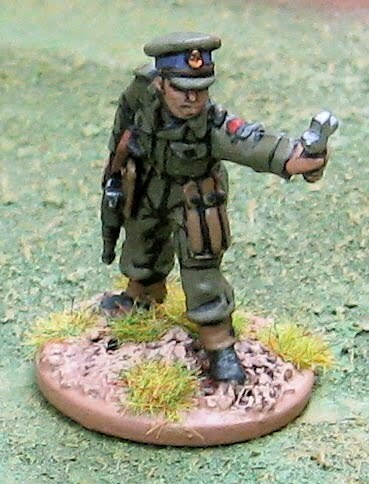 I painted up a sample of the Gebirgsjäger I picked up lately (just before the moratorium). The figure is from Brigade Games “Ends of the Earth” line. I have a very important special mission in mind for these chaps… but I won’t mention that here in case any of my players actually read this blog… (MWA-HA-HA-Ha-Ha-ha-ha-ha-ha….). The model is from West Wind Productions. It was a lovely little model – easy to assemble with a minimum of gunk and flash to clean up. There wasn’t as much nasty mold release compound on this one either – one wash and all the primer totally stuck to it – no beading areas. I also have to say West Wind has been a treat to deal with. The three Shermans 75mm tanks were shipped with two left-hand tracks. I contacted them and they sent replacements right away – so I ended up with a bunch of extra track which I cut up and stuck a bunch of to the front of this model. I love that all the West Wind models (at least the ones I’ve picked up so far) come with turret crew! I feel like I should have loaded it up with tons more stowage and camouflage and stuff… but I was feeling lazy and anxious to get one done to see what it looked like. The tank markings are that of B Squadron, 1st Canadian Hussars (6th Armoured Regiment). The Hussars were part of the 2nd Canadian Armoured Brigade (Independent), which supported the Third Canadian Infantry Division in Normandy. B Squadron of the Hussars were in direct support of the Regina Rifles on D-Day. More Canadian stuff….? Maybe some Germans….? 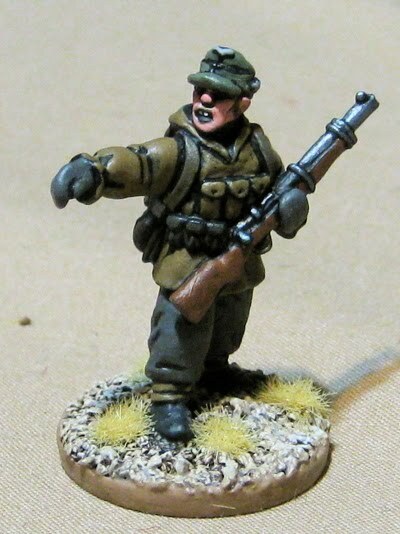 The figure is from Bolt Action Miniatures. I should be back on track shortly. 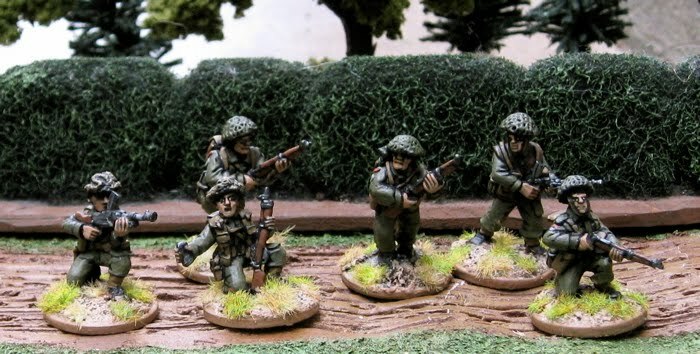 I just can’t decide if I should finish off the Armed Civilians (that I planned to finish off in August) before launching forward on the Canadians (planned for this month). For anyone wondering why the blog seems to be all about painting these days and where all the game reports have gone… I’ve mostly been playing Savage Worlds (mostly WW2 skirmish actions and some pulpy-Cthulhu type stuff…) and have been posting the game reports over at Savage Timmy’s Playhouse! 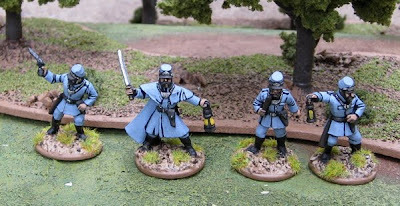 These are some Eastern European Politzei from West Wind Productions Gothic Horror/Vampire Wars line. The blue ended up a tad lighter that I had originally imagined in my mind’s eye… but… oh well… Not going to repaint them – I mean how often am I going to use them anyway!? Some more Darkest Africa types. 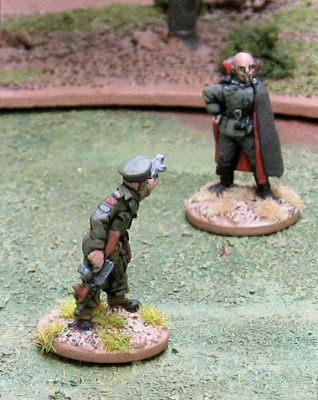 I tried to paint the European officer to look like a German Schutztruppe officer (as I need another one or two…). 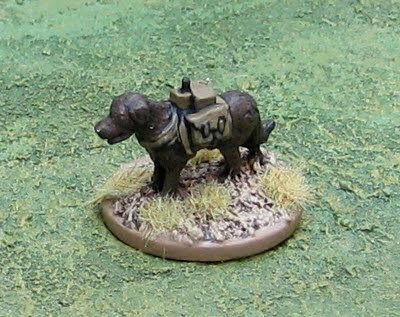 I guess I did do something mildly WW2 related… I finished off my Russian anti-tank bomb dog…. I should try that out on Wednesday… just hope it runs towards the right tanks!! Back to the 20th Century with some armed civilians and/or Canadians.